Laura Linney appeared in minor roles in a few early 1990s films, but soon was cast in a series of high-profile thrillers like Congo, Primal Fear and Absolute Power. Linney was nominated for an Academy Award for Best Actress for her role in the lower-budget film You Can Count on Me in 2000. In 2003, she appeared in several notable films including Mystic River, Love Actually and The Life of David Gale. She was also nominated for the Academy Award for Best Supporting Actress for her performance in Kinsey as the title character\’s wife. Also in 2004, Linney won an Emmy Award as “Outstanding Guest Actress in a Comedy Series” for her recurring role on Frasier as Dr. Frasier Crane final love interest for the series. Linney starred in The Exorcism of Emily Rose and The Squid and the Whale, for which she received a Golden Globe nomination for “Best Performance by an Actress in a Motion Picture – Musical or Comedy”. Linney was born in New York City. Romulus Linney, a well-known playwright, is her father. Do you want to hire Laura Linney? Directly request a quote. In 48 hours we can send you the availability of Laura Linney If you would like to book Laura Linney, Entertainment Booking Agency is the right place. We will offer you the best price and contact the management or we directly contact Laura Linney. For corporate appearances or speaking engagements you can contact our agents and the will help you true the process. Tags: hire Laura Linney, Laura Linney booking, book Laura Linney, Laura Linney appearances, find more information on booking Laura Linney for appearances, Laura Linney speaking engagements, Laura Linney endorsements/spokesperson, Laura Linney appearance fees, Laura Linney booking agency contact info, biography of Laura Linney, Contact an artist booking talent agent find a speakers bureau that can book Laura Linney, speaker booking agency for Laura Linney, Laura Linney booking agency, Laura Linney booking for corporate event. EBA is one of the biggest entertainment booking agencies in the World. We book hundreds of celebrities, artist, athletes and speakers in a year. Important to know is that we are not claiming to be the management of Laura Linney. 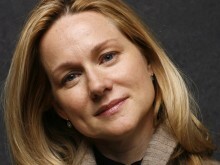 We are not the official agent for Laura Linney. Companies from around the globe book these artists and speakers true our company be course we have one of the biggest networks and we always have direct contact with the artist or the management. We help you to find the right celebrities for your corporate of private events. Please contact one of our agents to get free advice and we will help to get the world-famous artist on your party.